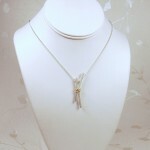 Unique handmade sterling silver kiss shaped pendant necklace wrapped with 9ct Gold wire to give a fresh modern look that is suitable for all women. 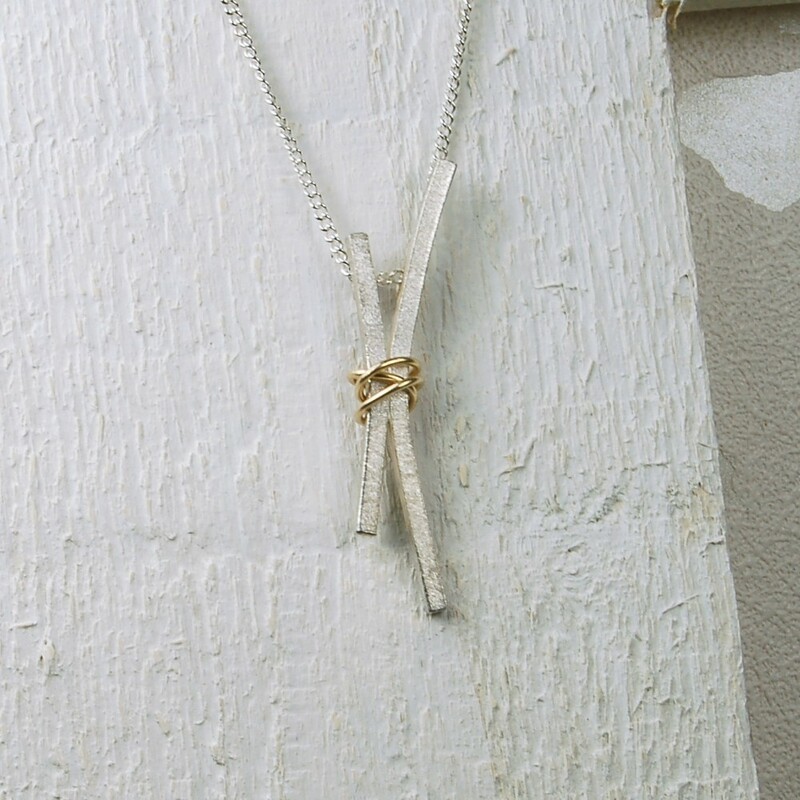 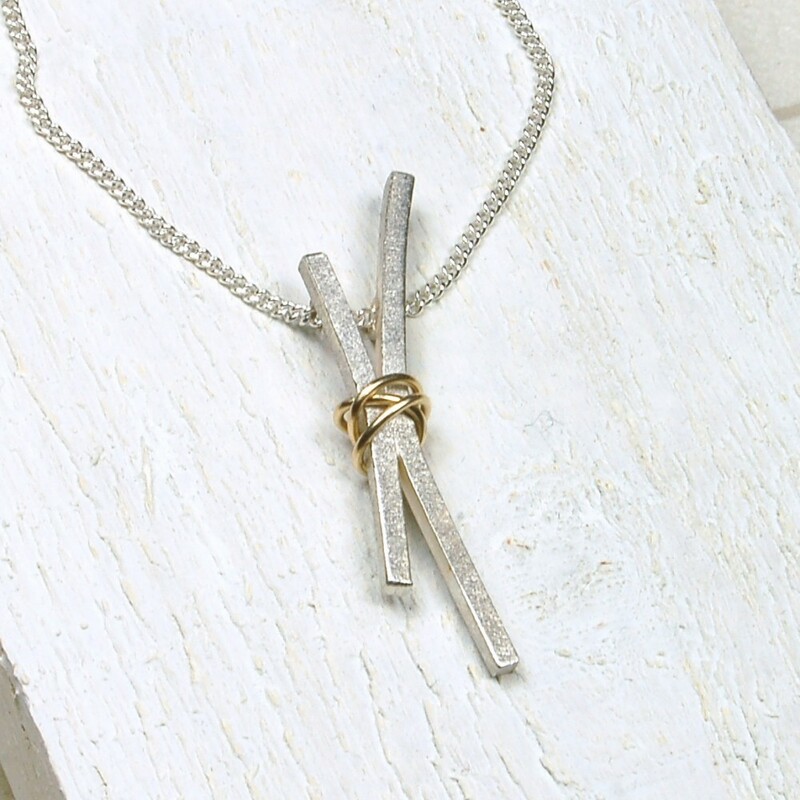 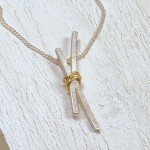 Handmade sterling silver kiss necklace wrapped with 9ct yellow gold wire.Sterling silver square wire has been cut to size and shaped by hand to create a gently curved kiss and then soldered together. 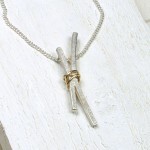 The ’kiss’ has then been given a gorgeous sparkly frosted texture and finished off with an accent piece of 9ct yellow gold wire which has been wrapped around the centreThis unique handmade silver necklace makes a great gift for the one you love and will be handmade in the UK. 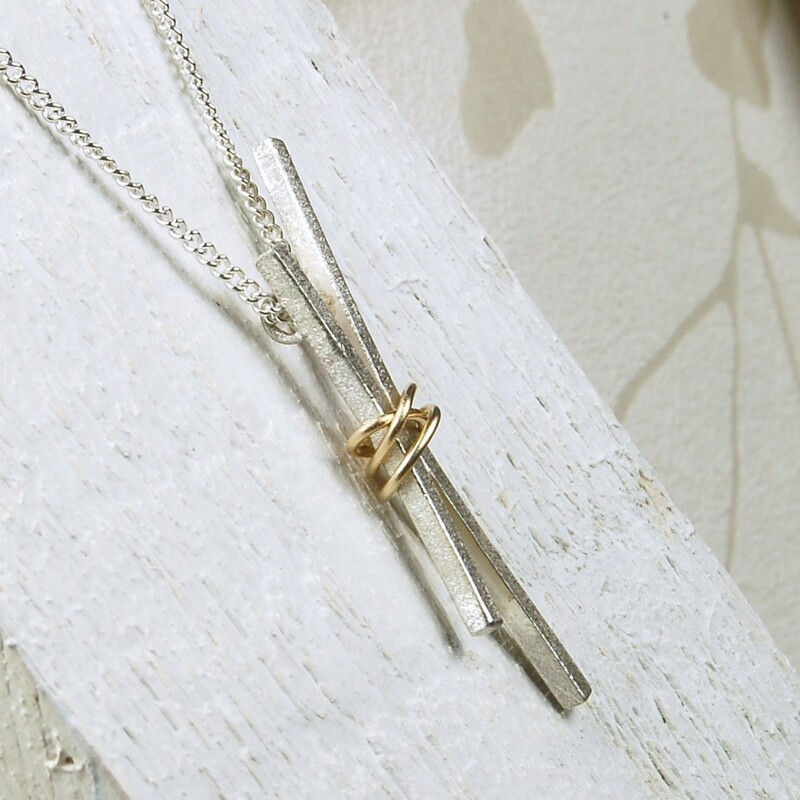 The pendant measures approximately 4.5cm long and hangs from a sterling silver curb chain which is available in 16”, 18” or 20” lengths.